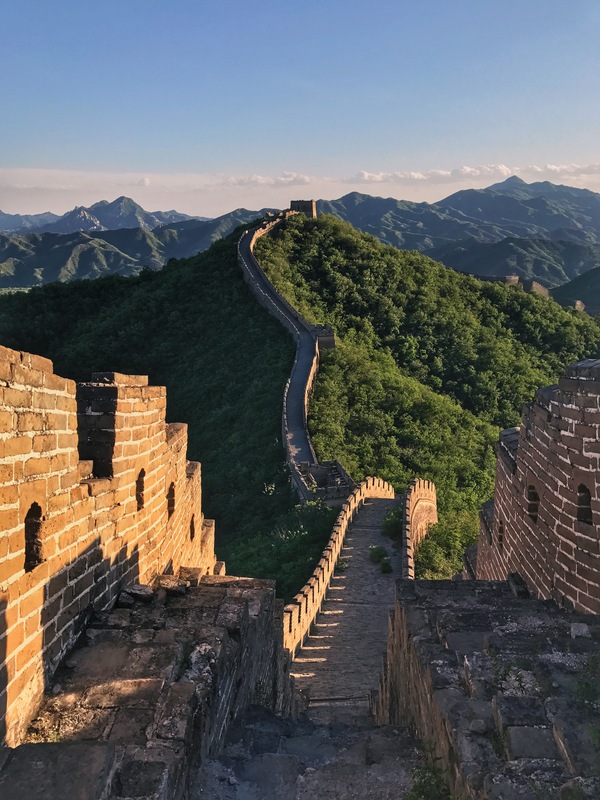 We arrived the Great Wall of China early in the morning just to find out – because of the summit conference which was held in Beijing we can not hike the wall. Summit conference was also the reason for fresh air and clean sky in Beijing recently..It took us two hours of bus-metro ride, then some way of hitchhiking and finally we could see it – long structure zigzaging through the green mountain landscapes, changcheng, “long town", thousands and thousands kilometres of ancient defense. For me the view of it was stunning. As a kid I grew up reading colorful encyclopedias for children, very nicely and derailed illustrated, and one book was about ancient China. I was reading it and watching these pictures same time as the Soviet Union collapsed and perestroika started, when Ukraine became independent, soviet money devolved, and grivna Ukrainian currency was brought in, and the life was so difficult for my parents. 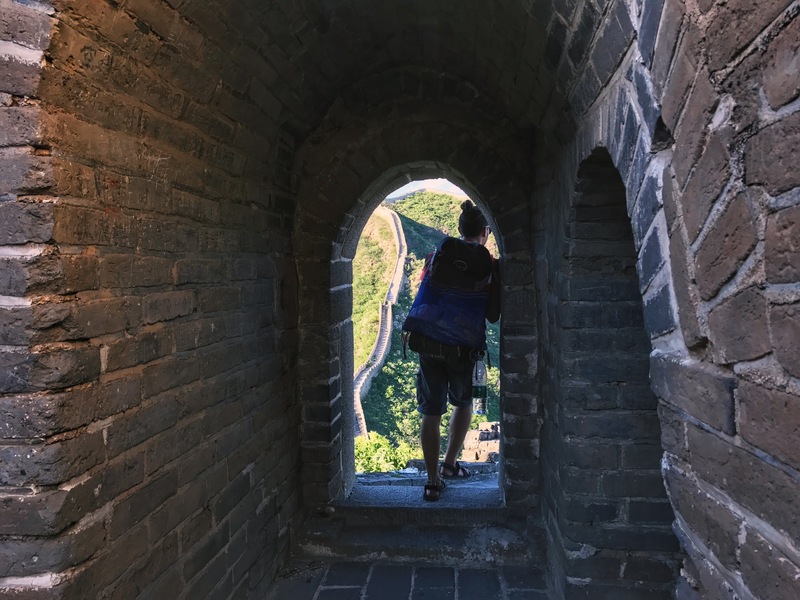 I don’t remember this time very well, but I remember the books, so the view of the wall was incredible for me, it felt unbelievable, like old childhoods dreams came true. 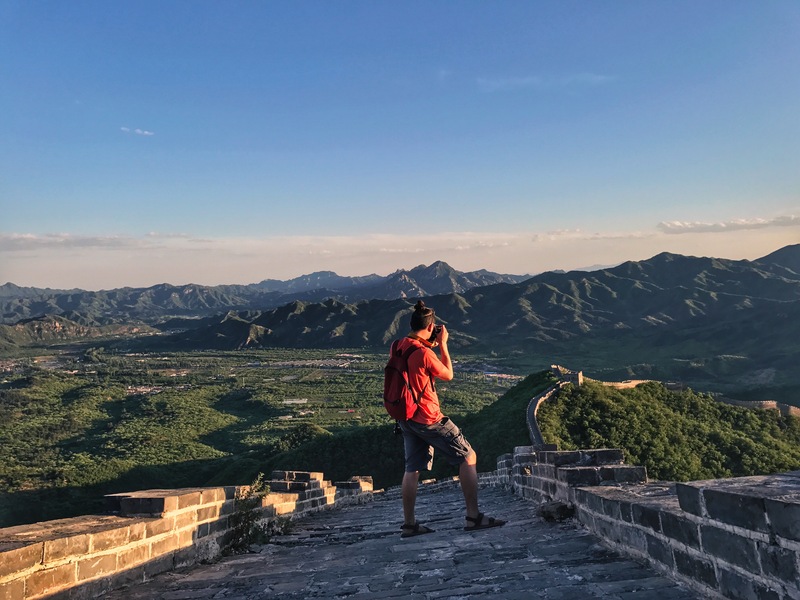 We chose a part of the wall which is not very popular for tourists, a town called Huanghuacheng. 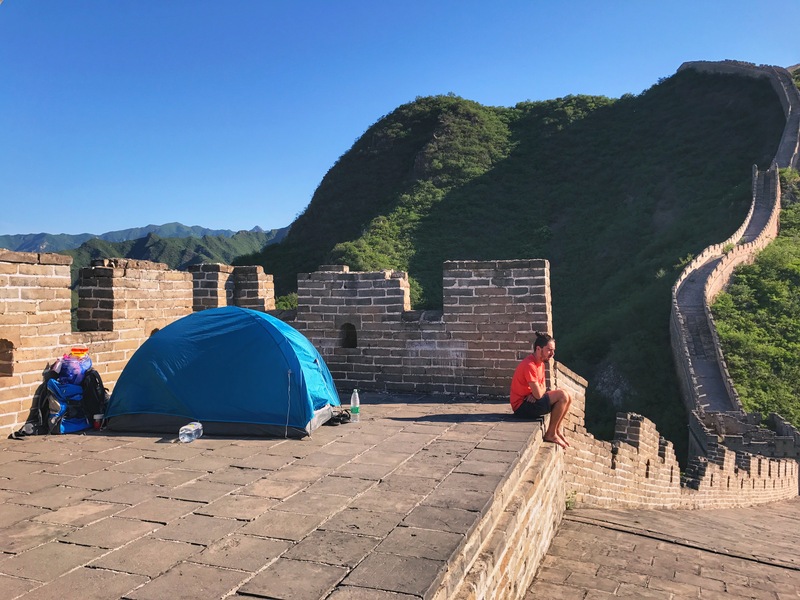 The plan was to hike the wall for few kilometers, find a place for the tent and stay there over night. After we came to the entrance, an iron selfcrafted gate, the local guard said we can’t go now, we should return after 5pm. Too long waiting, so we decided to walk a bit more and try it somewhere else, with same result, the guards even drove us back just to be sure we won’t go there before 5pm. So we had to wait, we waited and watched the wall, unreachable now. After 5 p.m. we returned to the first gate, paid 5 rmb “entrance fee" then we were good to go. 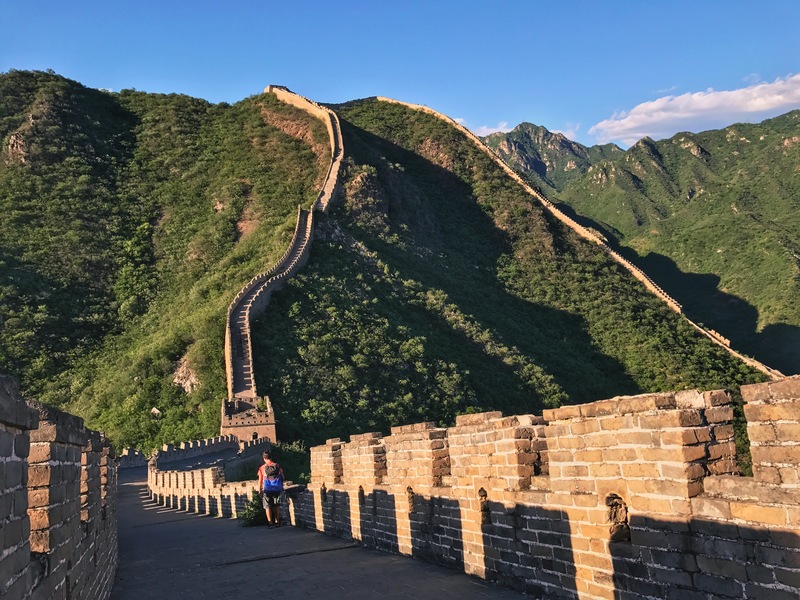 The hike to the wall is easy, there are steps leading to the wall and through a ladder, that was obviously made by locals, we could finally get on the wall. 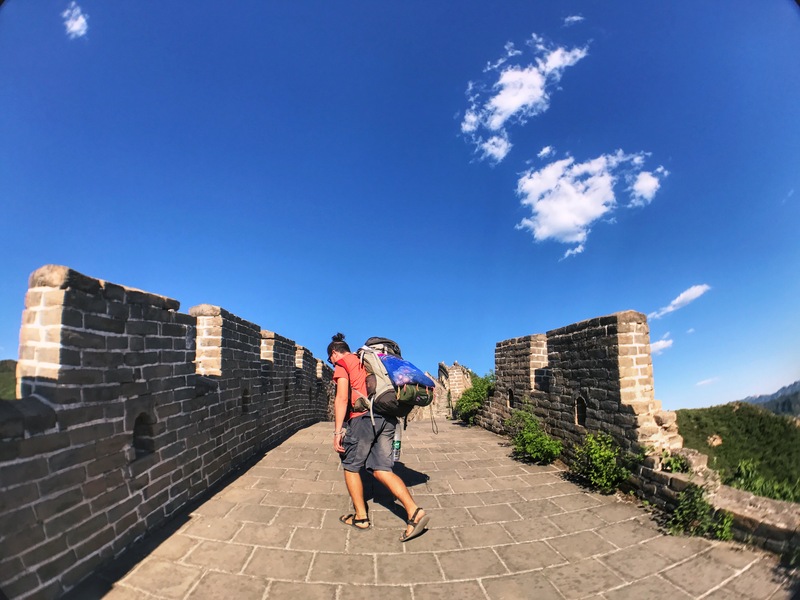 We were heavy packed with food, water and camping stuff and my shoes weren’t made for this kind of walking, so for us the walk on the wall and climbing the steps wasn’t so easy. 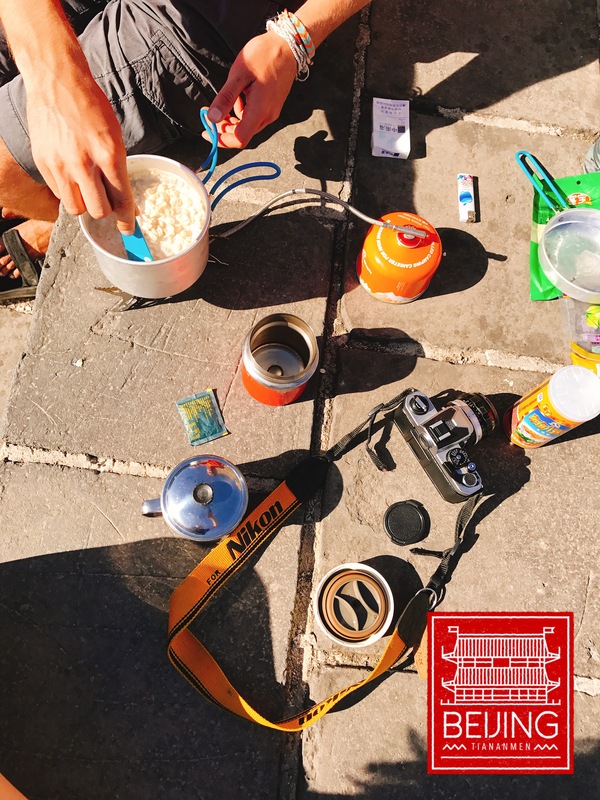 If you leave all that stuff home and just go there for a day trip, it will be a relaxing walk, but we wanted to camp. After maybe one and half hour and thousands of photos we finally found a place to put our tent and it was right in time. The sun was setting down and the landscape was covered in yellow evening light. Long shadows stretched out on the surrounding mountains, the view was beautiful. 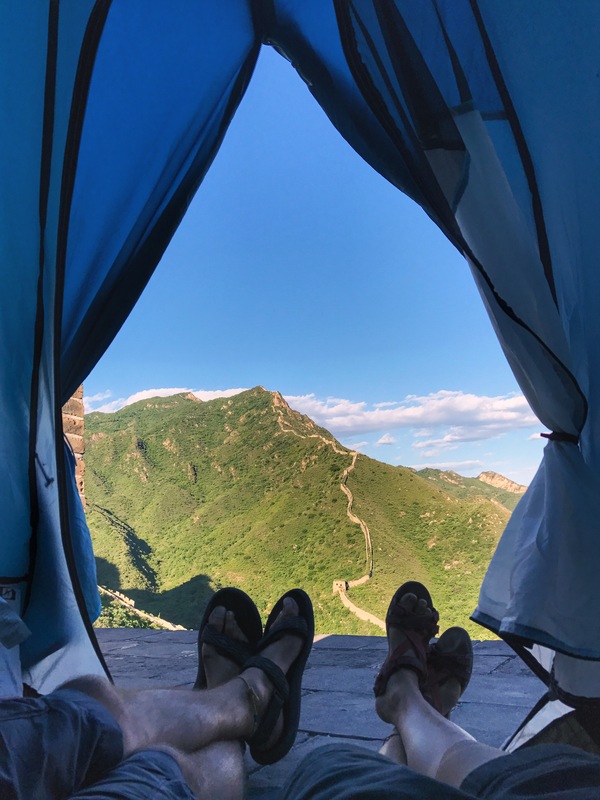 We left our tent and other equipment then climbed the highest tower of the wall close to us, this part was the most difficult one, it was too steeped, after that we went down to prepare our dinner – noodle soup with veggies and eggs, and it was already dark. The stars came out and every minute it was more and more of them, so we made tea, stretched out our mats on the ground, slipped under the sleeping bags and gazed into the sky full of stars. It was silence, liked no one’s here, we were lying on the ground and watched the sky and it felt like we are all alone, exactly that feeling of your own meaninglessness. 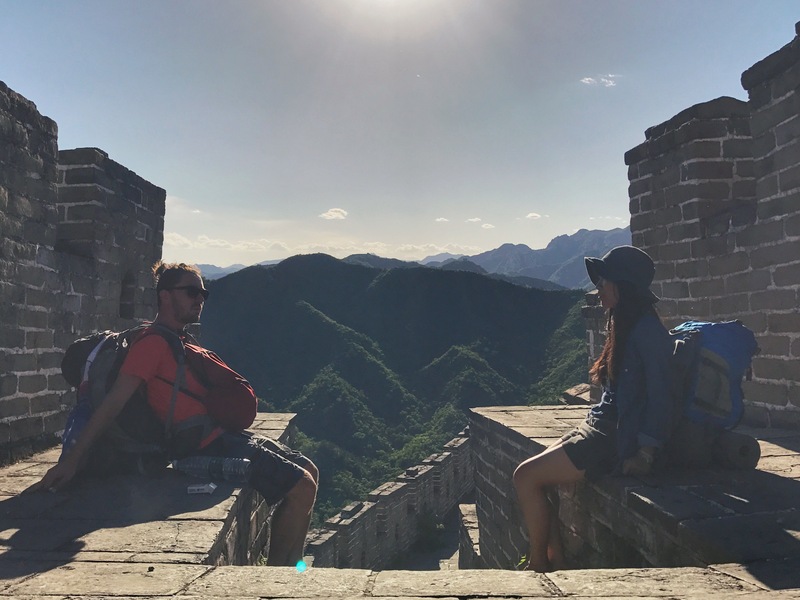 We talked hours through, completely alone on the Great Wall and the feeling of time faded away together with all the troubles and worries. The morning after I made milk oat meal porridge for breakfast, we packed our stuff, Ying Ping made our final pictures there and we set off to go home. 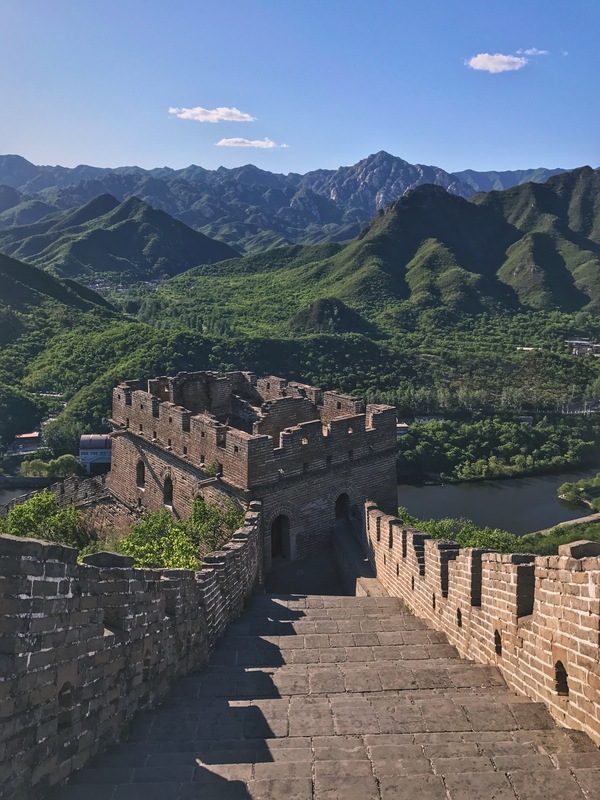 Our great night on the Great Wall was over. 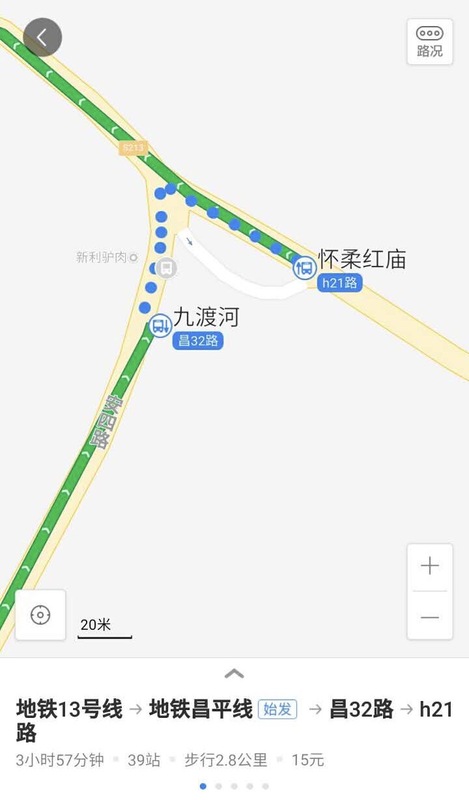 How to get there？Check it below, please. 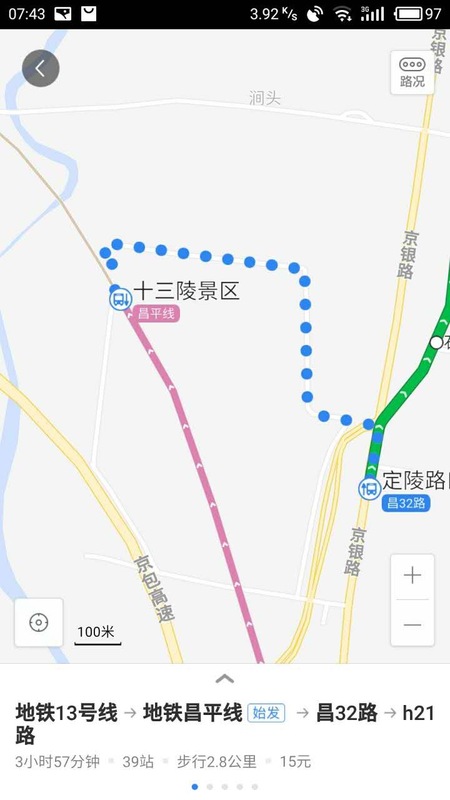 It’s better to check baidu maps for the routes, every location can have their own ways to get there, we took the metro to the ming tombs train station, then you have to walk a little till the bus stop (40°14′06.83″N 116°12′28.36″E) From there take the bus 32 to 九渡河（Jiu Du He) and transfer h21 to Huanghuacheng. Walk north till you see the reservoir. 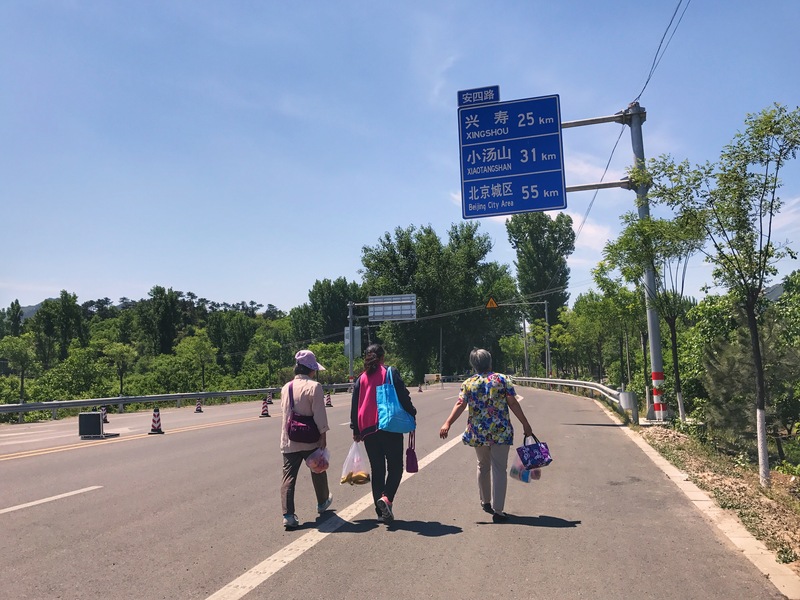 From Huanghuacheng reservoir there are two directions you can choose for your walk, to the west or to the east. The west one is more touristic, the wall goes through some hills to a tourist resort, so all the tourists come from there. 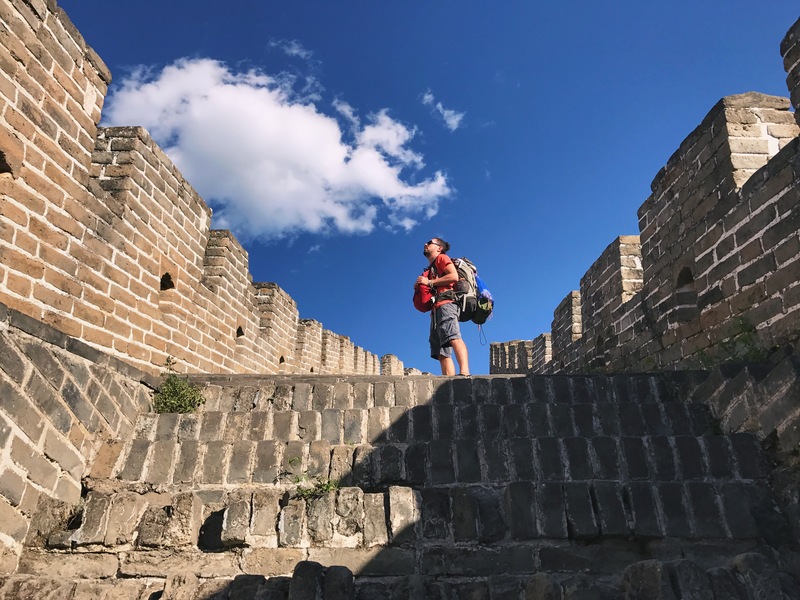 We took the east one and it goes few kilometers good, but after you will arrive not repaired part of the wall and the walk gets very hard here. 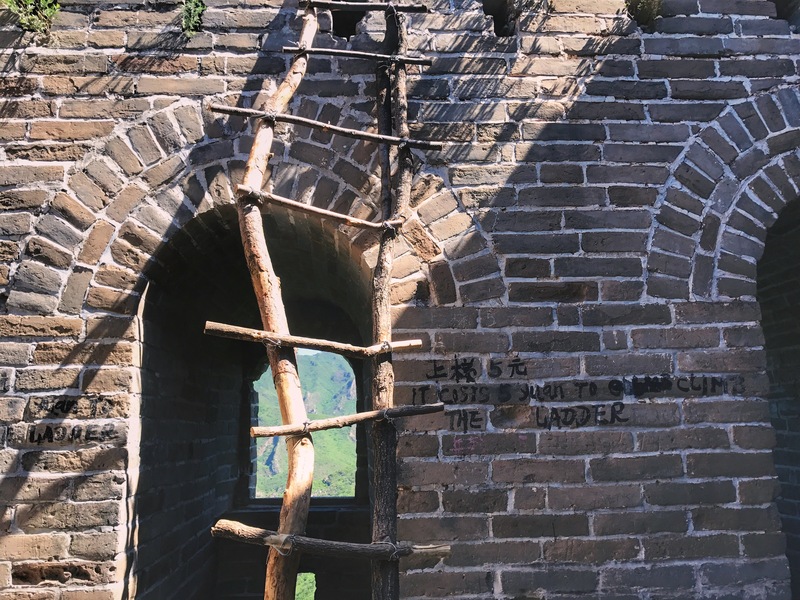 The problem of this direction is that if you want to get off the wall before the not repaired part, the local farmer will charge money from you, otherwise you have to return the same way you came. Anyway, the walk is beautiful even if you walk it twice. Bring enough drinking water with you and some snacks, the hike is challenging. And good shoes! Don’t make the same mistake I did.